Brick Town Talk: Flexible Track 8867 - LEGO Town, Architecture, Building Tips, Inspiration Ideas, and more! 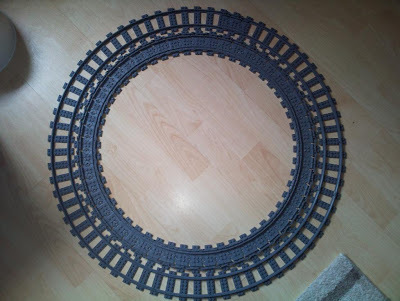 I wouldn't normally review Train items, however, I haven't seen any other reviews for the new Flexible Track 8867. There are more pictures here. 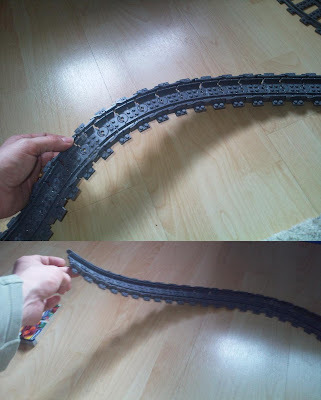 Having had a little play with the tracks this morning and discovered that they flex up and down as well as side to side (as demonstrated in the second and third pictures, and would be ideal for a roller coaster (maybe make the pieces from red or yellow? ).